Dyscalculia Symptoms Why Can’t My Kid Do Simple Math? If you change the name, is this a familiar scenario at your house? Jessica isn’t really careless. She’s got classic dyscalculia symptoms, a math disorder. Unfortunately, characteristics of dyscalculia are often not picked up as being a math disorder. Kids with dyscalculia are usually diagnosed as being carelessness, unfocused and going too fast. It’s exactly what happened to Jessica. Math is frustrating for many children. Whether it is due to having trouble remembering the number facts, multiplication tables, understanding concepts, or any of a large number of other issues, many children experience difficulty with both computation and application. These children may have dyscalculia. Researchers believe this involves the visual and language processing portions of the brain. Evidence suggests that the causes may be genetic or environmental such as prenatal or environmental toxins like lead paint. A reassuring note is that it’s not uncommon for the weakness to be in a specific area or skill, which, if compensated for, allows these students to operate at or above the level of their peers. Symptoms of Dyscalculia:• Avoidance of math work. • Inability to keep numbers in columns. • Confusion with math concepts. • Difficulty with word problems. • Crying while doing math homework. 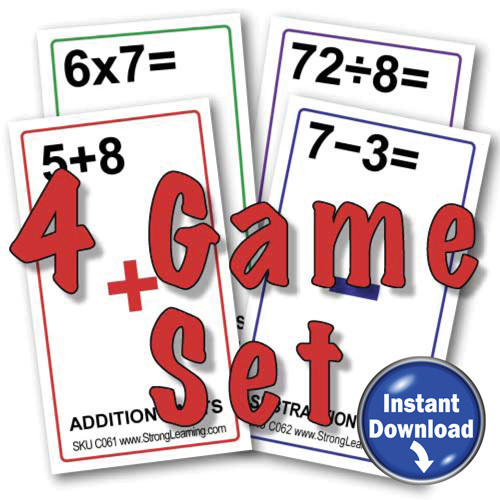 • Forgetting addition facts and the multiplication tables. • Difficulty remembering math steps. • Changing the sequence of numerals when copying them. 1. Use Lined paper. If your child has trouble keeping numbers in columns, show her how to turn lined paper sideways so the lines become vertical guides. Or, encourage her to use graph paper to keep columns of numbers lined up. 2. Cover up columns. Have your child cover up all columns except those he’s working on. 3. Use a calculator when appropriate. If a child is being tested for concepts and understanding and has difficulty with computation, have him use a calculator for those tests or assignments. 4. Circle signs. Suggest that your child circle the + , –, or other arithmetic signs before doing the computation. 5. Color-code. Color-code fact families and multiplication facts for your young child. For example you could write or color 2+3=5, 3+2=5, 5-2=3, 5-3=2 in green, and 3+4=7, 4+3=7, 7-3=4, 7-4=3 in blue. 6. Write what you want. When your child is working on a word problem, tell her to write down the information and what she’s trying to solve for. Encourage her to use whatever method works best for that task such as making a list, drawing, or underlining. 7. Sub-vocalize. Suggest to your child that she talk to herself out loud or sub-vocalize. Kids with dyscalculia can master math, but they need help. Talk to your child’s teacher and find out if she’s familiar with dyscalculia symptoms. Find out what resources are available at her school. Your child can enjoy success at school, even in math. Do you have arithmetic challenges at your house? Do you have any tips that have helped. We’d love to hear from you. Please leave your comment below. There are always ways to learn math, to have fun and to show the student that progress is being made. 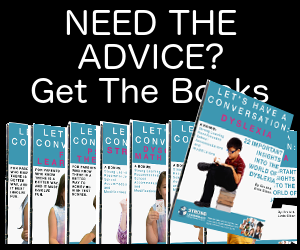 Grab a copy of our Dyscalculia Toolkit: How Singing, Playing Games and Having Fun can help defeat math disabilities. I just want to be tested without my parents knowing. They think I’m being dramatic and that I basically being lazy. I have to do everything. My mom wants me to wait 3 weeks but if I do that then school with be really really close to being over then by the time I even get the results it will be summer and I’m going into high school so I don’t want to have to deal with testing business at my first year! Math is SO HARD! Someone help me please! My parents can’t know. My friend even thinks I’m being mellow-dramatic and my math teachers think I’m lazy and not trying. )’: I need a test, an accurate one. Please. I’m glad you wrote to me. You sound like you don’t know where to go or whom to go to because you feel that no one is listening to you. It’s frustrating when you think you have a math disability but no one is taking you seriously. To make you feel better, you’re not alone. Thousands of children, teens, and adults go through life with a math disorder called dyscalculia and don’t get help for it. Just as you describe, parents say they’re lazy. Teachers complain that they’re not trying. And friends think they’re making it up. 1. Show your parents, school counselor and math teacher the great question you sent me. Then show them my answer. Since you’re under 18 years old, you can’t take a test that is valid and reliable without your parents’ permission. So, they have to be on board for you to get help. 2. In the meantime, think about the difficulties you encounter when doing math. The answers to the questions below will shed some light on your situation. Do you have trouble keeping numbers in columns? Do you get confused with math concepts? Do you have difficulty with math word problems? When you were younger, did you cry while doing math homework? Do you find yourself switching to addition while doing a subtraction problem or vice-versa? Do you forget addition, multiplication and other arithmetic facts? Do you have difficulty remembering math steps? Do you change the sequence of numerals when copying them? Talk to your parents, counselor and math teacher about being tested. Show them your answers to the questions above. This additional information should get their attention. Try to provide details instead of answering just “yes” or “no.” Specific examples and comments on how you try to deal with your problem will help too. The school can evaluate if you have a math disorder by comparing your ability to your scores on a math assessment. If there’s a significant discrepancy, the school can provide remediation and modify your math courses to better match your needs. Math will then be easier for you. It’s reassuring that when compensated for a math disorder, students often achieve at or above the level of their peers. If keeping the numbers lined up is a problem, turn your paper sideways so the lines become vertical guides. Cover up the other columns and math problems except those you’re working on. If you’re allowed, use a calculator when appropriate. Becoming more proficient with a calculator is a skill, too. Circle the addition, subtraction (+, -, x, =) or other arithmetic signs before doing the computation. When you’ve got a math word problem, write down the information and what you’re trying to solve for. Use whatever method works best for that task such as making a list, drawing, or underlining. I hope this helps you. Let me know how you make out. I have ADD, and I think I have dyscalculia. I`m 11, and I want to be tested without my parents knowing. In school, when the teacher does math, it sounds like “gibberish”. When I’m given a math test, my mind goes blank. I read the last question, and here are my answers: Y, Y, Y, N, N, Y, Y, Y, Y. Please help! 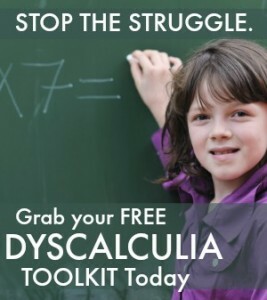 You may have dyscalculia and need to be tested. But you need to have your parents on board. Talk to your school counselor and/or the school psychologist to help you work with your parents so that you get help. I feel sure my son, Jon, suffers from dyscalculia. When I mention this to his teachers, none of them have ever even heard of it. Where can I go to have him tested? Also, one more question. How common is it for someone to suffer from both dyscalculia and disgraphia? No one in my school takes me seriously I really don’t know how to do math and I’m 13 years old and can’t even tell time and even when I try my hardest my teachers don’t believe me, I’m failing and math is becoming harder each progressing year. My daughter who is 15 was recently diagnosed with dyscalculia. While I am grateful she was finally diagnosed, her 9th grade year in Algebra has been a living nightmare. Her math teacher had no flexibility and if my daughter did not understand a concept, she would not offer an alternate explanation-she just explaining it over and over again, the same way. My daughter is a straight-A student in all her other courses. I am wondering over the course of the summer, what I can do as a parent to help her keep on top of the skills necessary in math for 10th grade. Doesn’t your school have the option of dropping the subject and taking some other subject in place of it? When I got to know that I have Dyscalculia in grade 9th the best option for me was to drop the subject and take another in place of it. Like I took up painting instead and was graded on that. My name is Desiree and I am 16 years old. I come from a family full of geniuses. All of my brothers excel in maths, while I excel in non-math related sciences and the humanities. I want to be an engineer, but my math scores are not up to par. I don’t believe it is because I am stupid or don’t work hard, I do work very hard in my advanced math courses, I even took calculus twice, but I still am unable to raise my scores. I try to understand how to do the math and while I understand the spoken or written concepts, I cannot ever seem to apply them properly. I am a rising senior and if my math SAT scores don’t improve, my future career choice is in jeopardy. How do I know if I really have dyscalculia? Hi, I’m 19 years old and I think I have dyscalculia. The problem is I’m on a business course and sometimes we deal with math, but I’m extremely bad at it. I can’t read analog clocks, I have to say my entire times table to find the answer for multiplication (though I have huge holes in my times tables anyway). I can’t add or take away unless it’s a whole number and rounded to a ten. I cannot divide at all unless it’s a simple one like 10 by 5. Along with the issues above, I mix up signs (plus to minus, times to divide). My work ends up all over the page as I try a billion ways of working it out. During math tests I used to get so frustrated that I would write in random numbers just so I could hand it in and go to the bathroom to sulk in privacy. God forbid someone present me with pi or trig. The maths in my course is fairly basic but I just can’t do it and panic when I see everyone else working so easily. In high school (age 13-17 in Australia) I was in the lowest maths class until I had the option to drop it when I was 15. It was the same thing in primary school. My English scores have always been high but in maths class I was often told off for mixing things up and not doing homework. I always tried to do it but I ended up upsetting myself and never turned to my parents for help because I thought they would be annoyed at me. Add into this that I’m rather socially awkward and have a minor case of anxiety, and it’s not a good mix. My lack of skill is having a hugely negative impact on me and I just want to be normal. People have laughed at me before, accused me of laziness, called me stupid. I’d like to be able to say “I have dsycalculia, so back off”, but I haven’t been screened, and I’m an adult now so I can’t do it through a school. Will I be able to ask my GP to refer me to somebody? Do you think it sounds like I could have it? Overall, I’m fine with myself, but my math skills are so bad, and it just makes me feel terrible. I have taken my math GCSE in England and I got a D despite hours and hours of revision before hand. I even got a math tutor over to help me. But cant understand why I did so bad?? And I think it’s because I have discalculia. Whilst taking the test I remember soring through the questions and finding them easy yet still I got a d. Im 15 and don’t know my number bonds to 10! Help! I am so happy there is a name for what I have been experiencing all my life. As child we (my family) kind of shrugged it off as simply being extremely ‘right-brained’ since I was very gifted in so many other areas and very good at drawing. My parents weren’t very hard on me because “not everyone is good at EVERY subject” but I always knew there was something more to what I was experiencing with math. I sobbed during a college level pre-algebra mid-term after spending hours covering the topics with tutors my first semester in college. Hi 🙂 I think I might have this but I’m not hundred percent sure. I have always been extremely slow in maths and I can barley work out sums in my head without writing them down. If you asked me what 25 x 5 was it would take me a while to figure out and this is quite common for me. I fit some of the symptoms, like I sometimes start to cry my eyes out while doing math because it’s really hard for me to pick up the relation between some sums or word sums are personally the worst for me as it takes a long while for me to pick up the answer. I’m 15 now and I still have to use my fingers for minus and plus some times for some of the easiest sums or I struggle to tell the time on analog clocks. I don’t know if I have this or if I’m just over reacting because I do feel that if I practice a lot I get better but lately I’ve been thinking about it and then I came across your article and well I tout maybe you could give me some advice? Hi I’m 13 and i looked up Dyscalculia and i have most of the symptoms i dont know what to do. All last school year my math average was really close to failing and i always use my fingers to count. i have a hard time remembering subtraction, Multiplcation, Adding and Dividing problems. So please help cause i dont know if im overreacting or not and if i tell my mom she doesnt understand or hear what im saying so please help me! Be sure to talk to your teacher or a school counselor about this since school is starting now.